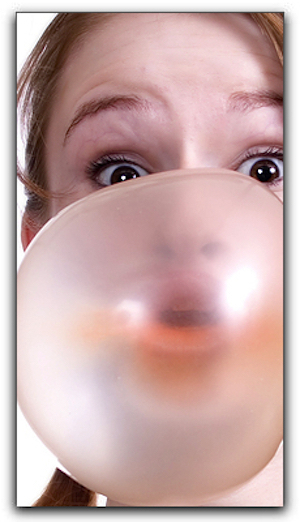 Hello West Chester gum chewers, today we’re going to talk about that sticky wad in your mouth. You know that it can freshen your breath, but can it really help preserve your smile from cavities? It really depends on the type of gum. Chewing regular sucrose-based gum can be useful in removing bits of food from the surface of teeth, but that benefit is negated by the stream of sugar washing over your teeth as you chew. However, gum with some alternative sweeteners has an added benefit for your pearly whites. Xylitol is a sweetener which not only has fewer calories than traditional sugars, but it also has antimicrobial properties that curtail plaque build-up. This means that xylitol inhibits the growth of bacteria that causes tooth decay. So if you’re headed out to any restaurants in the West Chester area, bring a pack of sugar-free gum with you and pop it in your mouth when your meal is done. Of course, brushing and flossing are the optimal practices for your oral health, but when you can’t brush, pick a sugarless gum with xylitol. I’m dentist Sanjeev Goel of West Chester Dental Group. We offer porcelain veneers, prepless veneers, and teeth whitening. If you have any questions about how to beautify your oral health, or if you would like specifics about any of our innovative cosmetic dental procedures such as teeth whitening, veneers, or complete smile makeovers, give us a call today at 513-942-8181. Call our friendly team today for an appointment!